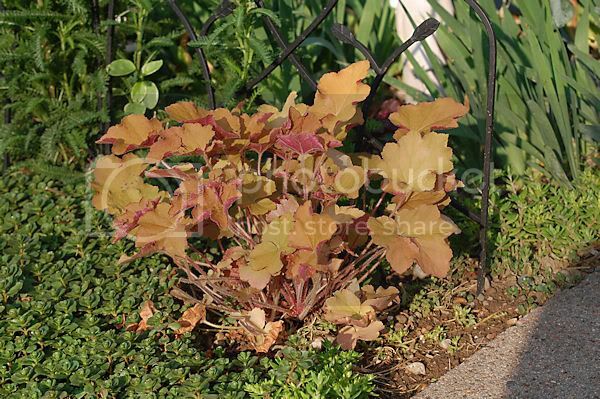 'Caramel' coral bells must be the newest craze this year. I've seen it everywhere for sale. I finally fell for the hype and picked one up, it is a nice color. Yes it is, particularly when planted beside contrasting green! OO that would look sooo good in my garden!! I do love to see plants with unusual or striking foliage. Very pretty. I have a collection of many Heucheras, and Caramel is one of them. I like the different color foliage as well. That does look wonderful next to that green. Nice find!